The young men looked at me in awe: “You have a landline!” They went on to explain that it had become a status symbol. I had been signing up at a volunteer expo and mentioned I was providing my landline. I smiled at their response; it used to be that having a cell phone signified wealth. The reason I and all my siblings have retained a landline? Dad says they are better. He should know–as a retired microwave engineer, his field supported the proliferation of wireless technology. “Anne, are you on your cordless or cell phone?” my Dad would often query when I called. Something about the sound would inform him. He has instilled in all his children that landlines possess superior clarity of sound, greater security and increased safety. When the power goes out, your landline is powered by the telephone cable. Intercepting a wireless signal is easy, and lawful interception of a landline requires extra steps. To explain the sound clarity, I ask you to consider interference from a moving construction crane or a thunderstorm, for example. These can disrupt the electro-magnetic wave moving through the air. Hence, a wireless phone connection results in dropped calls and poor sound quality much more often than a landline does. 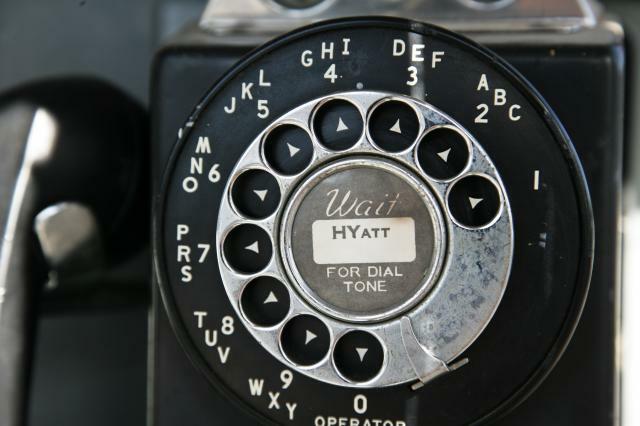 Call me old-fashioned, I don’t even use the telephone company’s voicemail; I have an answering machine with the phone. I like the blinking light to tell me I have a message. Also, I like the feel of the phone in my hand. Ultimately, though, the central reason I still have a landline remains this–my Dad says so. Dear Reader, please share your comments and stories that are sparked by this piece. For instance, do you still have a landline; is it for a different reason? Is there some older technology you have hung onto?–please share why. See Contribute for how you can share a story at The Engineers’ Daughter. We still have our landline b/c my husband uses it constantly. He prefers a landline over a cell phone and will only turn his cell phone on when he is told to for a specific reason or if he is making a call, otherwise it is turned off! He and my Dad would get along. He seems to only turn it on when he travels and that was only after us children badgered him. I just talked to my Dad on my cell while walking thru the park. He noticed right away and the sound annoyed him. I had to stop walking. He went on to explain that from reading the microwave engineering literature that audio quality is particularly bad. No landline since we picked up a shared plan with AT&T/Cingular circa 2004-ish. Young struggling couple couldn’t afford the additional line, didn’t really need it, and saw more value in having separate mobile lines. Honestly I was gravely against the idea; I didn’t want to be strapped to that communication portal constantly and wouldn’t even carry it with me most of the time. Then the smartphone revolution came around and I’ve been an iPhone guy since 2007 and I had become an email junkie, and having my inbox in my pocket was just too cool and convenient. All the benefits (sound quality, power dependence, security against eavesdropping, etc) do have me second-guessing and enjoying the nostalgia though! And yeah, that last landline was indeed hooked up to a tape-based message machine. Oh my I haven’t thought about that in years. Its definitely a cost vs benefits decision. I am always a late adopter of hardware and cell phones was no different. When I finally started using a mobile computing device with a phone app, I certainly became addicted to email, FB and having access to on-line all the time. Am glad though that I have the landline, it gives me a feeling of home. PS. the picture of the phone is identical to the phone I grew up with. They definitely last longer than their cell phone counterparts.